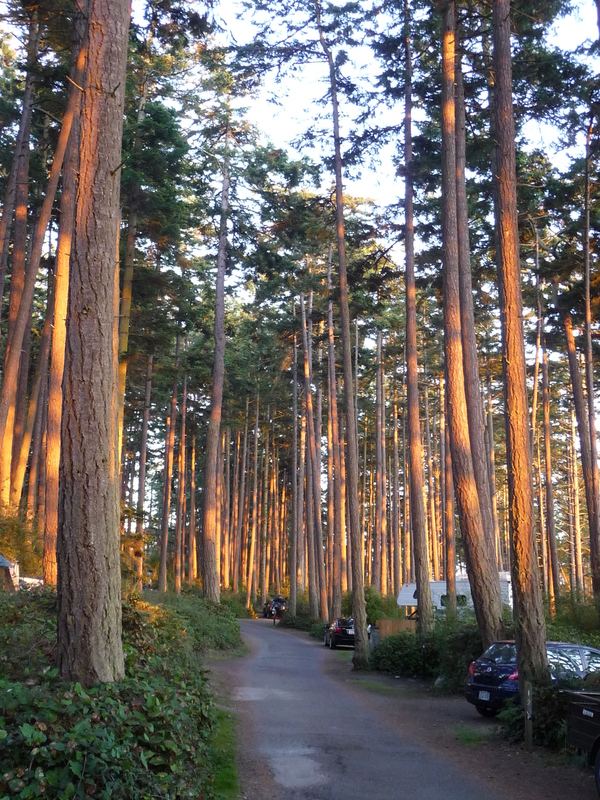 Cranberry Campground is hidden in the old growth forest between North Beach, West Beach, and Cranberry Lake on Whidbey Island. It is the largest campground at Deception Pass. With 234 campsites, the main campground is divided into the forest loop and the lower loops. The 78 sites in Forest Loop are primarily hookup sites, with some standard sites. The remainder of the campsites are in the Lower Loops, which are primarily standard sites with some hookup sites. Cranberry Campground is open seasonally. While most of these sites have limited views, they are close to the beaches and recreational opportunities at this end of the park. Five of the six restrooms have showers. Three of the campsites are walk-in sites, meaning that the parking for the sites is a few dozen feet away. Five of the sites are only for campers who arrive at the park on bicycles or on foot. There are also a handful of handicapped sites available among all of the campsites. Hookup sites offer electricity and water along with a table and campfire stove. Standard sites offer a table and stove, with water nearby. The size of the tent pads and parking spaces vary from site to site. 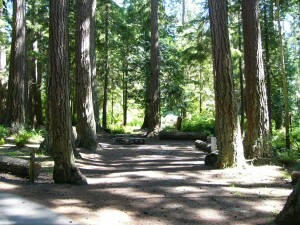 Washington State Parks’ online reservation system has detailed information about each campsite. Sites 231-235 are reserved for campers that come on foot or by bike. These sites are first come, first serve. 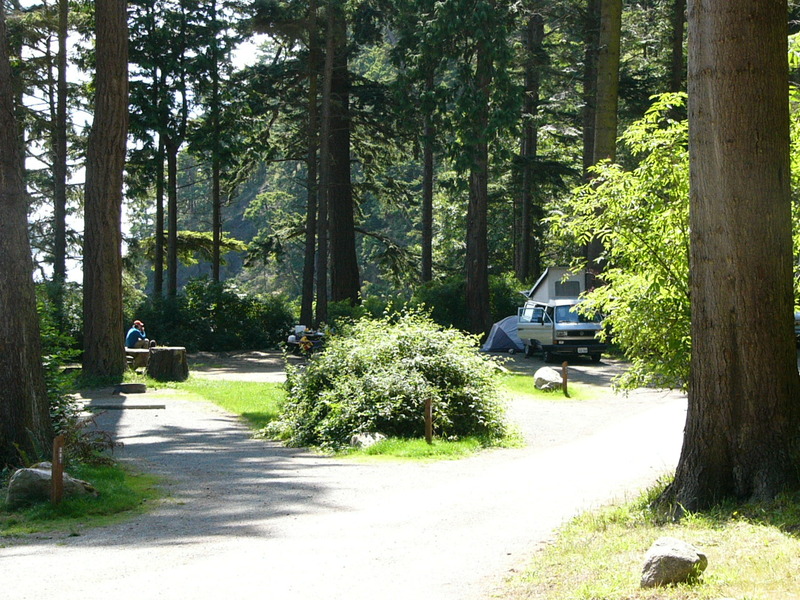 Bowman Bay Campground is a more intimate campground, with only 20 sites, all located fairly close to the beach. Only two sites are hookup sites. The others are standard sites. There are showers in the campground restroom. 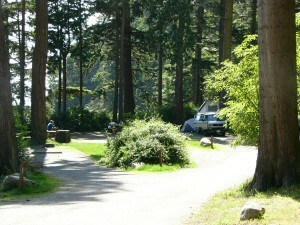 Bowman Bay Campground is open seasonally. Quarry Pond Campground is open year round. There are 61 sites, 54 hookup and 7 standard sites. The restroom has shower facilities. There is also a kitchen shelter and a gazebo in the middle of the campground. Quarry Pond, one acre in size, is a pleasant rock-rimmed pond near the campground. Goose Rock rises to the north of the campground. Presently, there is a single Group Camp on the east side of Cranberry Lake. This is a temporary site until we are able to build a new group camp in the Quarry Pond Campground. A trailer dump is located at the top of the hill in the Cranberry campground area. Registered campers do not need to pay for use of the trailer dump. There are three primative boater-only campgrounds at Deception Pass. 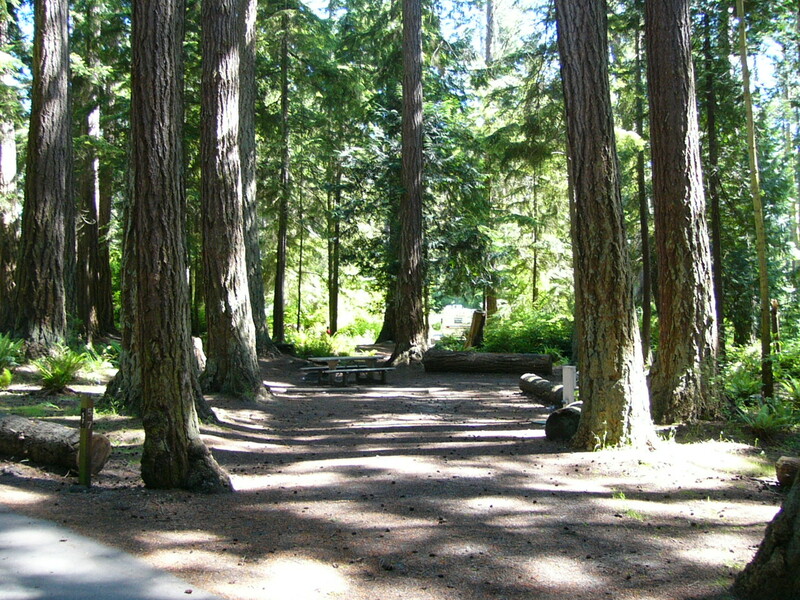 The Hope Island Campground has 6 sites and the Skagit Island Campground has 5 sites. There is a single Washington Water Trails campsite (open to all boaters) at Bowman Bay. All boater-only sites are first come, first serve. Please visit http://www.parks.wa.gov/fees/ for current fee info. Maximum of one recreational vehicle per site. Quiet hours are 10 p.m. to 6:30 a.m. Generators must be turned off by 9 p.m. Extra vehicles are allowed at $10 per night if space permits.